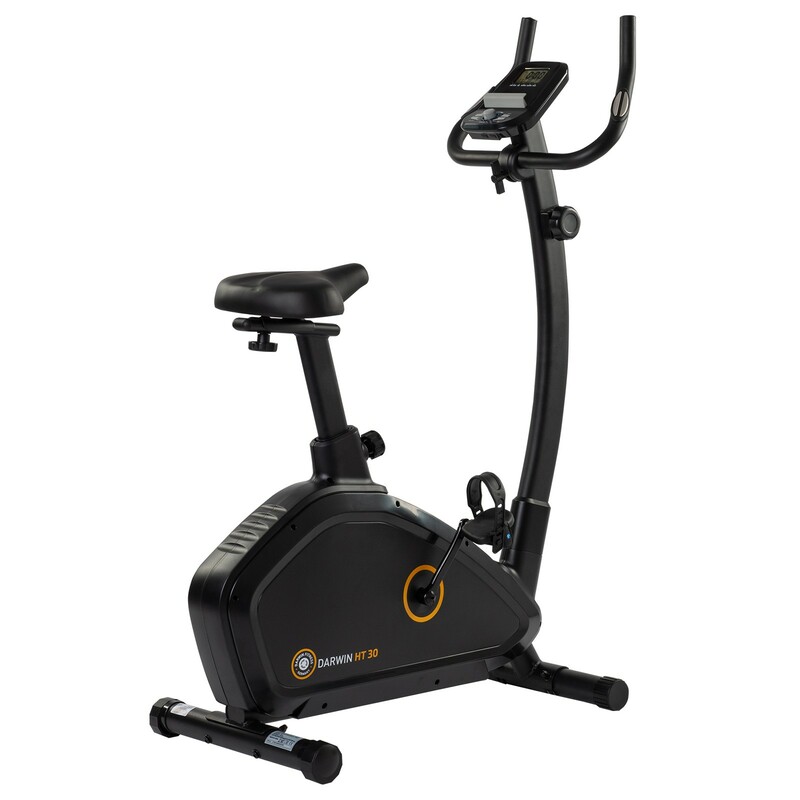 The Darwin upright bike HT30 offers a very easy start into cardio training at home. It is mainly focused on the comfort throughout the training session. Thus, the saddle is vertically and horizontally adjustable - nothing which can usually be taken for granted! Hence different users can choose their favourite sitting position. The incline-adjustable handlebar is equipped with hand pulse sensors. The display clearly shows all important training information, so that you can control your training respectively. The control is quite easy: your settings are quickly done by means of a control knob. Gute Qualität für wenig Geld. Man kann bequem sitzen und der maximale Widerstand ist für unseren Zweck völlig ausreichend. Optisch fanden wir das Gerät auch recht ansprechend. Darwin upright bike HT30 add to comparison list.